Our team of brewers are passionate about beer and . Redoak has been described as ‘beer heaven‘ by a German beer writer after naming it his local when living in Sydney for 6 months. This is a big compliment as Germany is the origin for many beer styles and holds the world’s second largest beer competition – the European Beer Star. Beer has an endless number of different beer styles. Some styles date back centuries while others are creations and collaborations in the pursuit of an innovative new beer. Redoak brews a broad and constantly changing range of beer styles. Some of our current and past beers include Honey ale, Aussie Lager, Belgian Chocolate Stout, Organic Pale Ale, Framboise Froment, Belgian Choc-Cherry Stout, Rauch, Bock, Baltic Porter, Special Reserve, Kolsch, Berlinerweiss, Belgian Wit Bier, German Wheat Beer, Oktoberfest Lager and there’s more. We like to support and give back to our community and have proudly supported various charities or fundraising events for many years. There are many worthwhile causes, we aim to choose a cause which has a personal connection in some way to our team or customers. We believe all Australians deserve a fair go, need to support small family businesses, to look after our precious planet and enjoy great beer and food with family and friends. If we all make a small effort and support real craft beer, then together we can encourage real diversity, real choice and real flavour. It all starts with each of us! We are not afraid to stand up for what we believe in. 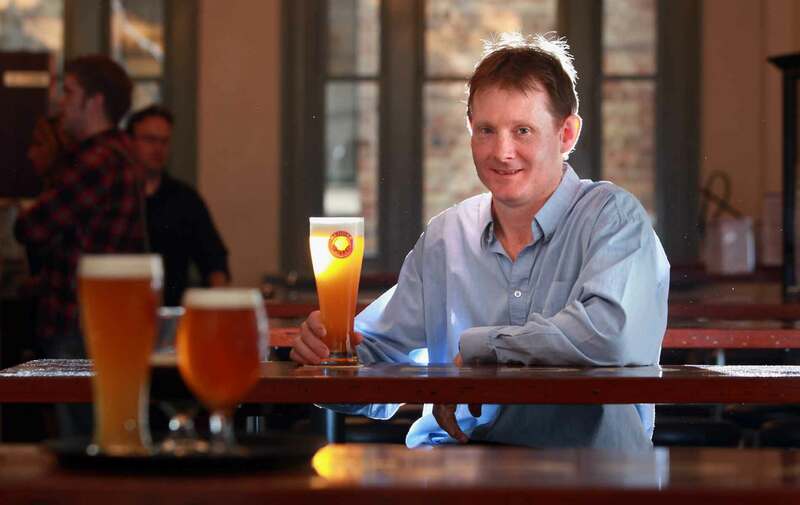 Redoak is a founding member of the Australian Real Craft Brewers Association, a not-for-profit association, supporting Australian small and independent real craft brewers. David likes to question, challenge and think outside the square. This ethos flows through everything we do. We believe you should work hard, have fun and life can be short -so it’s important that you love what you do. We hire staff with a passion for beer and food, a positive outlook and cheery disposition. The Redoak Brew Crew are a talented bunch of people who love beer and enjoy working in hospitality, especially within Australia. Although we come from a diverse range of backgrounds, we all share a common passion for beer and food. We also love to have fun while we work too! Dave Hollyoak, our head brewer, began brewing gingerbeer at the age of 14. He started brewing beer during his university days, travelled overseas, learnt traditional brewing methods and experimented with specialty beer styles. He started to impress mates with his beers (probably not hard you think!). After years spent working in civil engineering, he was looking for a new direction. In 2004, he achieved one of his lifelong dreams of opening a brewery (Redoak). And that’s when the real work began, as anyone in brewing knows! David convinced sister Janet to join him in the business startup. 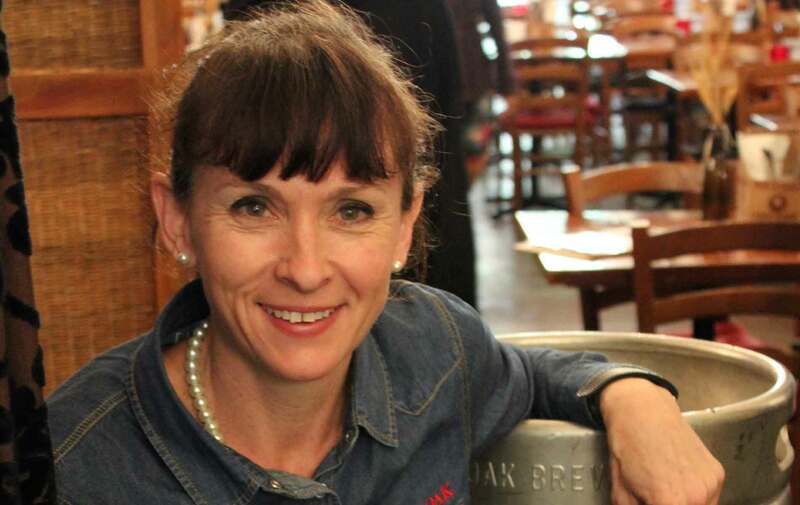 In 2004. together they created Redoak Brewery, which is without doubt Australia’s most awarded brewery. More recently, Kieran, Alex and Elaine have joined the team to manage the restaurant/bar/kitchen bringing a wealth of creativity, experience, service with a smile and fresh ideas. David & Janet are from a large family which is fifth generation Australian and they lived in rural areas during their childhood. Family holidays were spent exploring Australia and these experiences sparked and continue to drive their support and commitment for local producers and small family businesses. When on holidays, David and Janet will be found camping, fishing, bushwalking and sailing. They both make a point of searching out local produce when out in regional areas. Our raspberries and blackberries are from a cousin’s farm in Yarra Valley, Victoria and we stopped brewing fruit beers when the berry farms were destroyed in the Kinglake fires. Anyone who knows David, knows he loves nothing better than to be cooking a barbie with friends or family, with tongs in one hand and beer in the other. The Redoak family is ever growing with our wonderful customers, fans, our amazing brew crew and chefs, suppliers, partners and everyone else who keeps the wheels turning, beer pouring and meals cooking – cheers to one and all and a huge thanks for your passion and sense of fun! Good beer and wine should be enjoyed with good food. Elaine, Head Chef, infuses her own personality into the menu, offering an amazing selection of dishes to complement and use beer wherever possible. Customers are encouraged to explore beer and food individually and together. Enjoy our many and varied dishes from beef fed on brewers spent grain, beer ice-cream, beer-infused chocolate truffles, cheese and beer, and plus many more dishes. Our brewers are constantly creating new and varied beers. Many of these beers recognised by beer judges around the world for their high quality. Our custoemrs encourage us to keep striving for new and improved beers. Our bar & restaurant has over 20 different beer styles on offer at any one time and the beers available are constantly changing. We encourage everyone to visit us to try our beers that are true to style and full of flavour, aroma and taste.